The first team in the Group A out of four have ready to meet the Second team of Group B in this Confed Cups 2017. It is Portugal and Chile, the European Champions have won last two matches, but the La Roja drew last two matches. According to the report by the officials, it is Clear Night with the temperature of 18-degree Celsius, 11 m/s Wind, and 52% humidity. Also, the Confed Cup announced the official playing XI of both teams through the official website and also on their twitter page. Bernardo Silva, Santos, Adrien Silva and William Carvalho are there in the list of Portugal Playing XI. Also, the Barcelona’s Andre Gomes is here in this game after the absence of his last. Portugal and Chile are the debut teams to the Confederations Cup and both of them yet to meet each other at Kazan Arena, Kazan on 21:00 local time. La Roja are promising they will “keep fighting for a dream”. So, the Red one are ready to face the Ronaldo’s balls tonight. 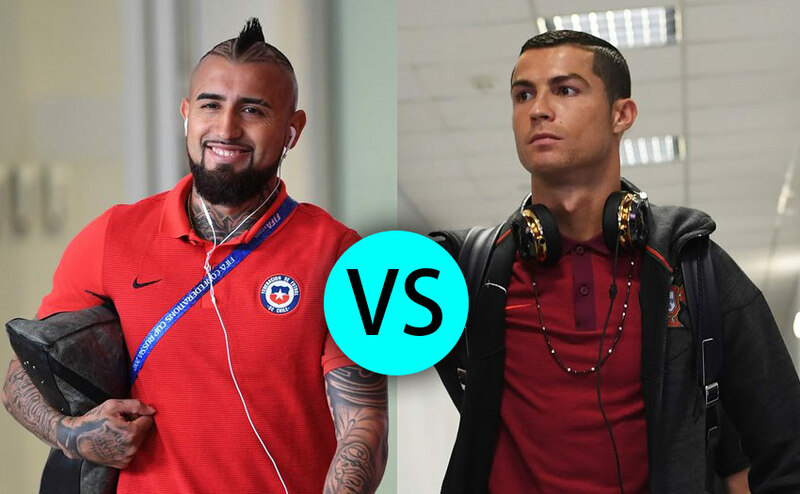 People and fans can watch the match on Live Streaming Online & TV at RTP 1 (Portugal), TVN, Mega, Canal 13, DIRECTV Sports Chile (Chile), Channel One Russia, STV Scotland, UTV, ITV 1 UK, Telemundo, Fox Sports 1, Sony Six/HD, and Ten 1. IITs Registration to close today at 5 pm evening: Hurry Up!